Over many years of selective (and non-selective) breeding, we have started to see a new Color of Pitbull that we have never seen before. The outcome of these breeding’s is a Tri Colored Pitbull that is a better companion with a lot less prey drive, but they have a way bigger build than the original American Pit Bull Terrier. 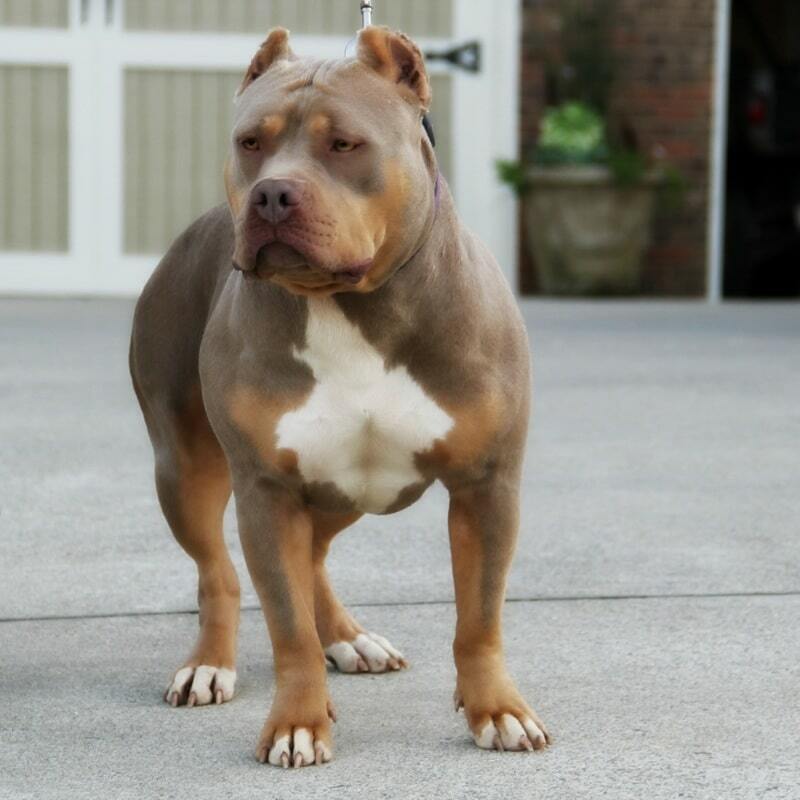 The new breed known as the American bully has drastically been evolving since early 1990’s through crossing different breeds of bulldogs and American Pit Bull Terriers and even the close relative to the Terrier called the American Stafford-shire . Therefore, we have had such a wide variety of Pit bulls. No other breed of dog before has had such a wide range or unique characteristics. But this is where people do not use common sense when it comes to dog breeding, they think that Tri Pitbull have resulted from only cross breeding the American Pit Bull Terrier with other breeds. But the only way a recessive gene can become present in the offspring is if both parents carry the gene so that means that the original American Pit Bull Terrier Carried the Tri Gene way before the American Bully Existed. The Pitbull breed has been changing so much that we have seen so many different names and registries recognizing these dogs as many different breeds. But the Most Recognized registries for the American bully is the ABKC. But now the more popular registries that have been established longer like the United kennel club (UKC) started to recognize the American bully back in 2013 and a couple years later the ADBA created a couple new breeds called American Bully and working pit bulldog. We have new hybrids of pit bulls created as we speak, and you are starting to see more tri colored pit bull kennels with the color combination getting so popular. The color is demanding a price that is way higher than any other color of pit bull which in my eyes is very stupid to pick a dog just off color when you don’t really know the temperament or the structure of the dog. Tri-color means any breed that has 3 basic coat colors or the genetics to produce this in offspring. It’s a result of two parents carrying the recessive gene for Tri colors. The Creation of the Tri Pitbull is from selective breeding and all breeders say that they have never used another breed to get that color, but we know other breeds have been mixed to create Tri Colored dogs because this whole style of dog was created on the result of combing breeds. The Tri-Color trait is a recessive trait, which means that both parents must show the tri color gene or have tri color genetics to produce this trait in offspring. If you are looking to produce the Tri Color in your dog’s off-springs, you must make sure that both parents carry the recessive gene, or you will not get puppies with the same coloring and markings. This is when pedigrees become such a major factor in your breeding program because this is the only way you can see if your dogs are carrying the tri color if it is not showing in the mom or dad.